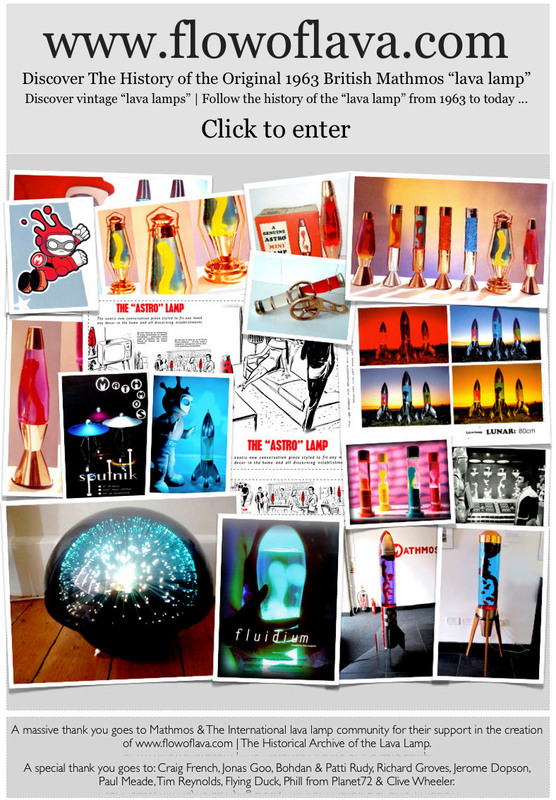 www.flowoflava.com | The History of the Lava Lamp | Welcome to the Complete History of the Crestworth & Mathmos Astro Lamp. Invented in 1963 by Crestworth Ltd.
www.flowoflava.com is the history of the lava lamp, a non-profit, independent, website created and designed by Anthony Voz, that provides documentation regarding the history of Crestworth & Mathmos lava lamp and related products. We are the historical archive of the history of the lava lamp. All images on the site are copyright of their respective copyright holders. 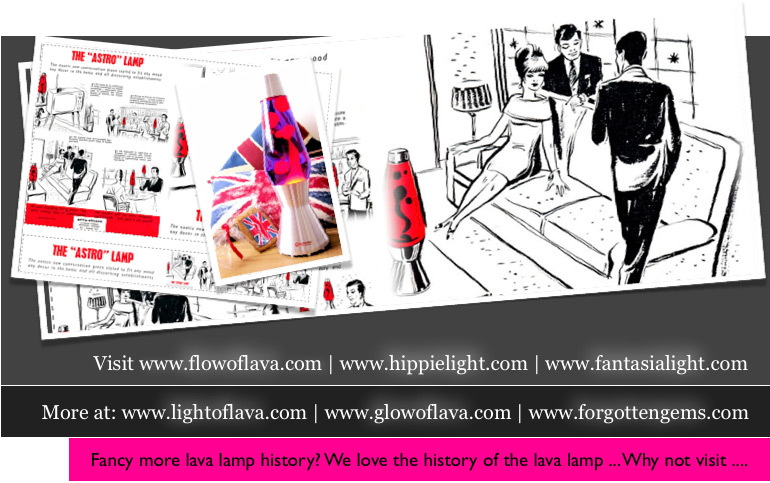 Flowoflava.com is an UK website that documents the history of the Astro Lamp which became an eternal cultural phenomenon. We provide a comphensive guide to the history of the lava lamp, vintage lava lamp models such as: Astro lava lamp, Astro Mini lava lamp, Astro Nordic lava lamp, Telstar lava lamp, vintage 1990s Mathmos lava lamps such as Lunar, Telstar, Astro Baby, Glitter Baby. We are independent from Mathmos Ltd. All information has been sourced from retired brochures and actual product models.